Paw Prints on my Heart Blog Hop! This is a blog hop featuring projects showcasing the love we have for our fur babies! Cindy but if not Connie Can Crop, is the beginning of this Special hop! We have two awesome sponsors for this hop!! Alicia O’Bryant with Golden Goddess Designs is giving away this super adorable Woodland Animals die set! AudRey Mysterio with Orquide’ Art is giving away this beautiful Mixed Media Tag she created. What do you need to do to win? Easy… become a follower of each of the fabulous blogs in this hop and leave each of them a comment letting them know what you like best about their projects. Free Shipping to our USA friends but Worldwide will be asked to pay shipping if they win. Winners will be announced on Wednesday 2/13/19 at Connie Can Crop. You can see how I made this card in detail in the video above. I started by going through my stamp sets and pulling out all of the ones that had hearts or paws in them. I was surprised how many I had! I then also went through and picked out a bunch of red and pink shades of ink. For the biggest hearts I used Simon Says Stamp’s Really Like You stamp set. I also used some smaller hearts from Lawn Fawn’s Mermaid For You and Happy Wedding. The smallest paw print I used was from Paper Smooches’ Chubby Chums, and the other paw and paw/heart hybrid stamps all came from Three Room Studio’s Wind In Your Fur. The inks I used were a combination of Altenew and Simon Says Stamp inks. I used Hollyhock and Watermelon from Simon Says Stamp, and Rose Quartz, Coral Berry and Ruby Red for the Altenew inks. Any reds and pinks you may have could work perfectly for this card. Likewise you wouldn’t necessarily need to have the same stamp sets for the hearts and paws. The last element to add to my card was a sentiment. 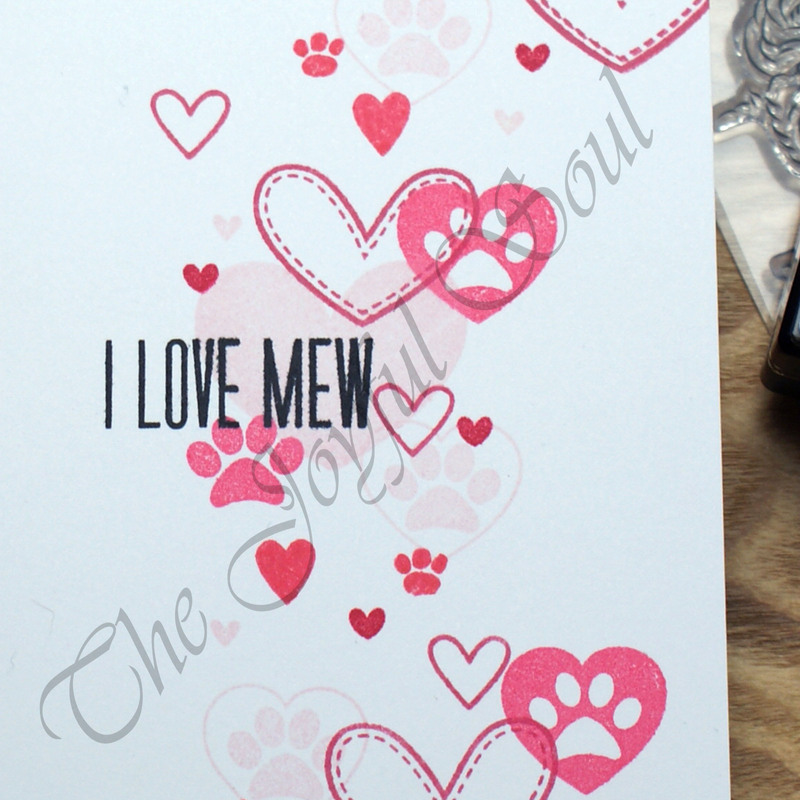 I chose I Love Mew from The Greeting Farm‘s retired Purfect Cats stamp set. Again, other stamps could be used. The Paper Smooches’ Chubby Chums stamp set has “You’re Purrr-fect” which would work well, for example. Or “Have A Yappy Day” from the Three Room Studio set. I just felt like using the other sentiment as I had it! I’m really happy with how this card turned out. It’s not at all what I had in mind when I started. Initially I’d planned to add an actual cat image to the card, but I decided there was enough going on just with the hearts and paws. I enjoyed being able to make a quick and easy one layer Valentine card without having to do any masking. Be sure to hop over to Holli, who is the next stop on the hop. Here’s our line up in case you get lost along the way. Charlotte <- you are here! Shake it UP Blog hop! Love your card and how you mixed all the different stamps in. My favourite is the love heart with the paw in it. Great play on words Charlotte. Lovely CAS card. Oh this is so pretty! Love the flow of the stamped hearts across your one layer card. Thanks for playing at AAA Cards, hope to see you joining in with future challenges. This card iS so elegant. The sky you for sharing this beautiful card. adorable! love that sketch! I noticed the stamp dr on your sidebar, I own some of those stamps! Thanks Alicia! 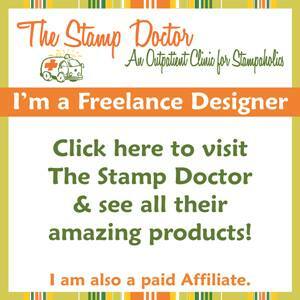 I’m lucky to have recently been invited to freelance with The Stamp Doctor. Great to hear that you own some of the stamps! I love how you layered all the hearts! Beautiful! Your card is so pretty, Charlotte. Love the colours you picked for your hearts. Thank you for joining us at AAA cards. Hugs ~ Ishani. Thanks for the video tutorial on making this adorable one layer card! No masking is always a plus when it comes to stamping..and those paw print additions are so fun. Thank you 🙂 Glad you liked the video! This is such a great card! I just love all of those hearts! The little paw print one is too cute! Such a great sentiment! Thanks for joining us this week at Freshly Made Sketches! Super cute card! I loved the technique. Wow! I seriously love this!! The hearts with paws, it’s just so pretty! Great card and a fab sentiment too! So sweet with the paw print hearts. This is an adorable card. One layer cards are hard and you did an awesome job. Totally delightful cascade of hearts! Such a pretty Valentine! Glad you joined us at FMS! I love the variety, size and shapes of these hearts! Thanks for sharing this fabulous card with us at FMS this week! Super cute Valentine Day Card. Love the little paw prints in the hearts and the saying! 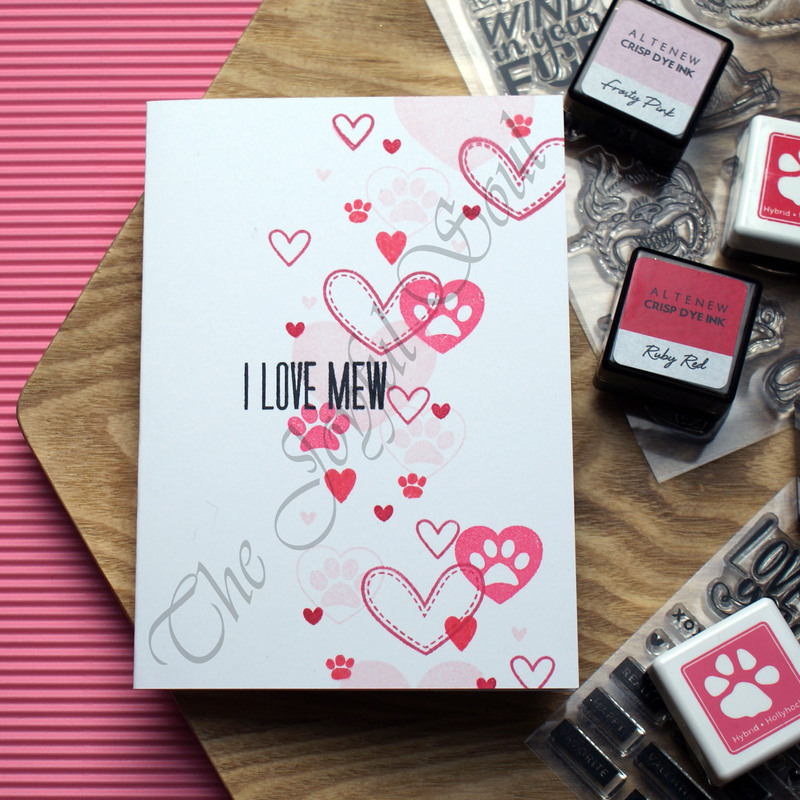 The variety of hearts, paw prints and red/pink inks makes a lovely one layer card. I agree, it didn’t need a cat image. How you mix and match images from different companies and pull it all together is beautiful. Your work is stunning. Thank you so much for participating with us at Addicted to Stamps & More Challenge. Beautiful card, Charlotte! Love how you used these stamps without masking. Thanks for playing at AAA Cards challenges.